Anveo - Voice 2.0 communication Platform: Update: How to make a phone call with Anveo Phone Number as CallerID. Update: How to make a phone call with Anveo Phone Number as CallerID. 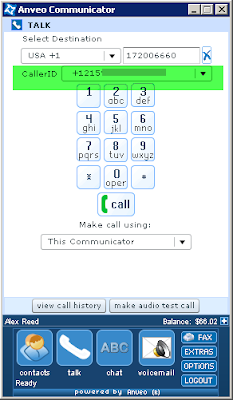 I would like to add another way to make phone calls with your Anveo phone number as CallerID. As you know Anveo Communicator is a great communication tool! 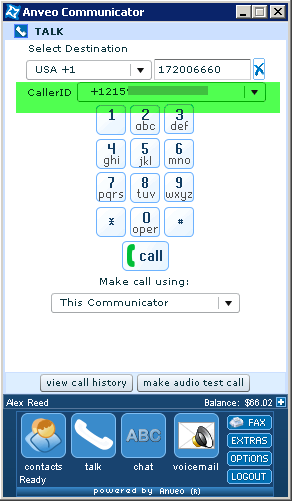 With Anveo Communicator you can easily make phone calls with custom CallerID number. Simply select your Anveo Number from the list when placing a call.